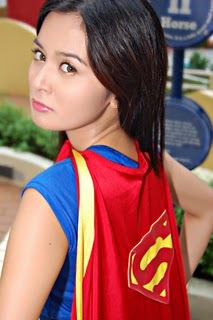 Kris Bernal wearing a Super Girl Costume. Its very different from her previous photos where she is so matured and get some daring scene in some of her shows. But I can say, she's totally cute.